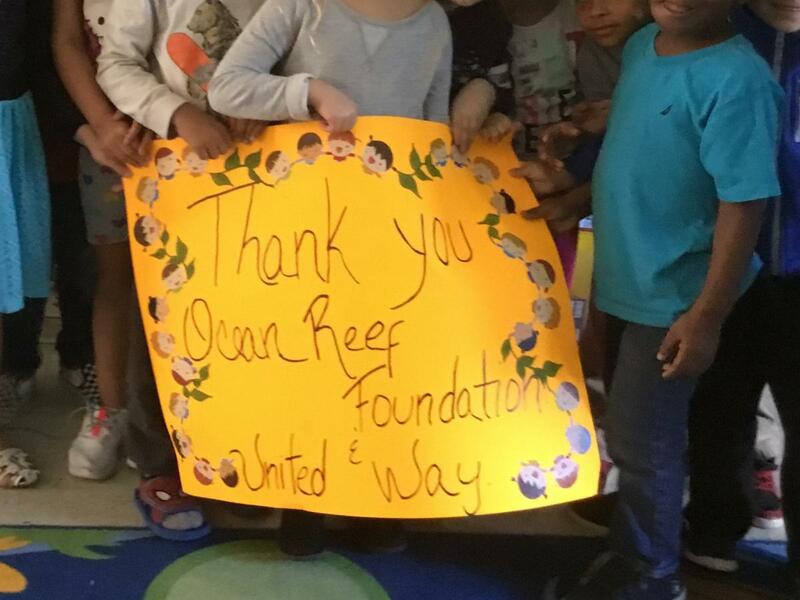 United Way of the Florida Keys received a $23,100 grant from the Ocean Reef Community Foundation for their ‘Success by 6’ program to fund childcare subsidies for low-income preschool students in the Key Largo area. Although some children in early childcare programs in Monroe County receive Early Learning Coalition subsidy vouchers, the grant aims to assist students whose families earn too much to qualify for these vouchers yet cannot afford to pay full rates for quality childcare. The “Success by 6” funding bridges this gap between tuition costs and ability to pay, especially for low-income families who do not have the resources for any extra expenses. Utilizing private funding provided by ORCF and the match from Florida’s CCEP funds, this grant enabled 7 children from Key Largo families earning between 150% and 200% of the Federal Poverty Limit to be brought into the subsidized School Readiness Program. Through this program, families pay $7.70/day for full-time care rather than the full pay rate of up to $80/day. This allows the families to use their income for other basic living expenses rather than for childcare costs, as they work to make ends meet. Beyond the financial value, providing this access to high-quality education through the School Readiness program is crucial for the children as well. It allows working parents an opportunity to continue to work while their children are in stimulating early learning environments. Scientific research shows that 80% of the human brain is developed in the first 3 years of life. Yet, unless young children are in an enriched early learning environment and are nurtured, their brains will not develop the plasticity or brain architecture needed to ensure they realize their full potential and can be successful in school and in life. Long term goals of the “Success by 6” program include increased high school graduation rates in Monroe County and reduced numbers of children who grow up in poverty and remain in poverty as adults. Thank you to Ocean Reef Community Foundation for helping UWFK meet this need in Monroe County.